Paris is one of my favourite European cities – I’ve visited more times than anywhere in the world and even spent an autumn house-sitting there once. But even though I was lucky enough to have somewhere to stay, Paris is still an easy place to spend money. 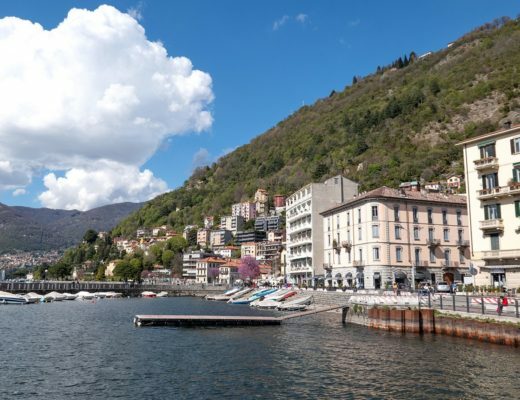 There are fantastic restaurants, shops and wine bars on every corner, and the entrance fees to all those world-class museums and attractions soon start to add up. So can you enjoy Paris if you’re trying not to spend too much? Here are my top tips for getting the most out of Paris on a budget. Paris is overflowing with beautiful, world-famous buildings and monuments – like Sacre Cœur, the Eiffel Tower, Arc de Triomphe, Pompidou Centre, Luxembourg Palace, Les Invalides and the Opéra Garnier – and going to take a look at them won’t cost you a penny. You can also go and watch the artists at work in Montmartre’s Place du Tertre, browse the book stalls along the banks of the Seine and take a look around Notre Dame Cathedral for free. 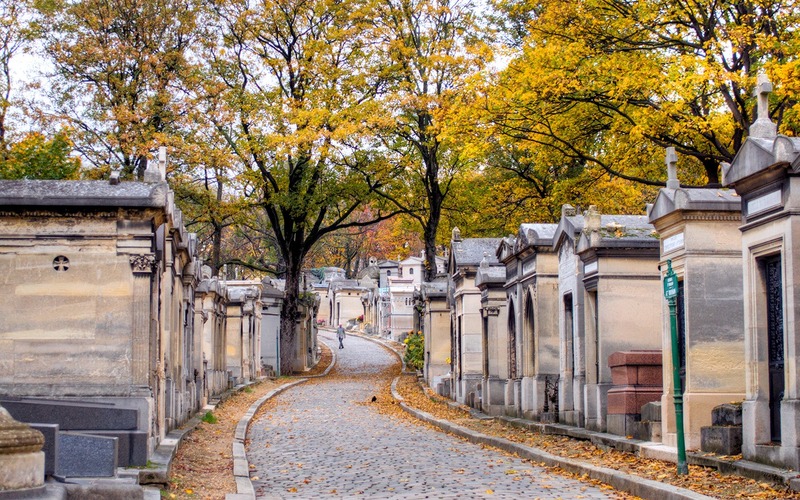 If the weather’s good, then there are lots of parks and gardens around the city – including the Jardin des Tuileries, the botanical gardens at the Jardin des Plantes, the Promenade Plantée on an old elevated railway line, and even the atmospheric cemeteries like Père-Lachaise. To learn a bit more about Paris, Discover Walks offer free guided walking tours. 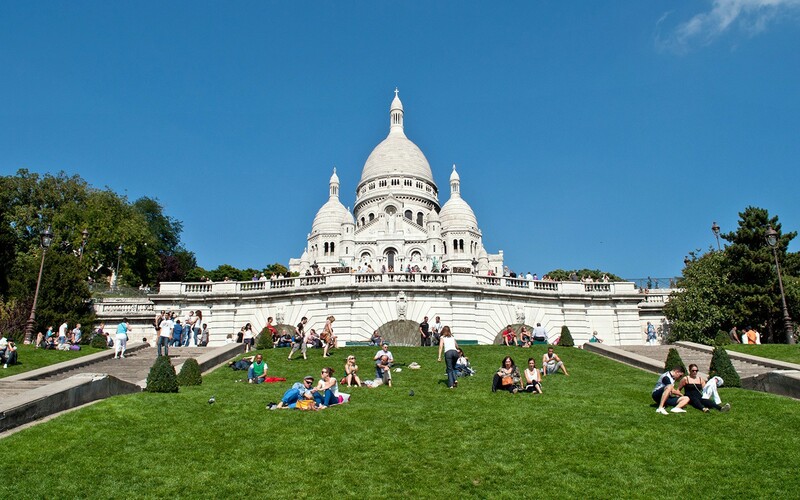 They cover different areas of the city – from the Left Bank and Marais to Notre Dame and Montmartre. Walks take about 90 minutes and off-season groups are usually small. In November, our group of three ended up with our own private guide on their Marais tour, who showed us some great local restaurants and bars as well as telling us all about the area’s history, all for the price of a tip. 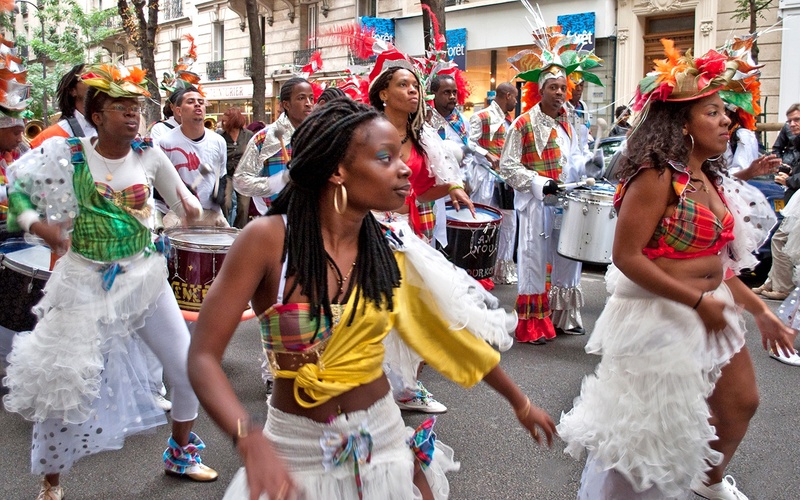 There are also plenty of free festivals and events going on in Paris throughout the year. There are fireworks and military parades for Bastille Day on 14 July, the Paris Plages riverside beaches during the summer, European Heritage Days in September, the Nuit Blanche all-night arts festival and the Fête des Vendanges harvest festival in Montmartre in autumn, and the Christmas lights and markets in December. Check out the Time Out Paris and Bonjour Paris websites for the latest information about what’s going on where and when. If you time your visit to coincide with the first Sunday of each month, many museums are free to visit. 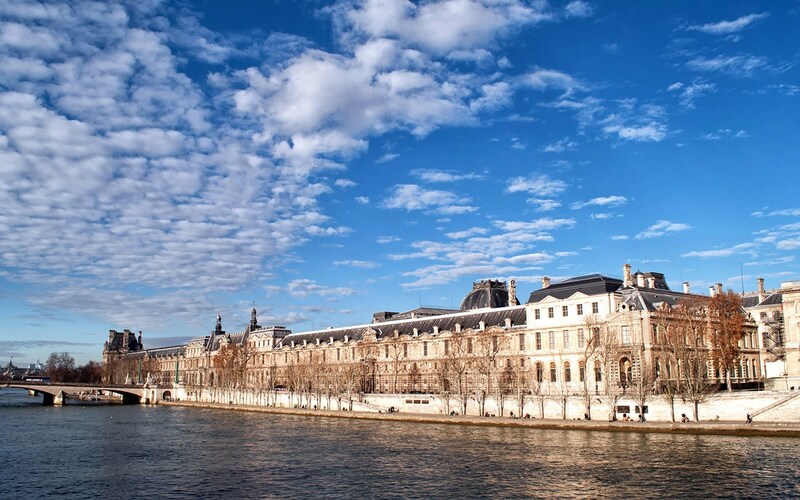 They include big names like the Musée d’Orsay, Musée du Quai Branly, Pompidou Centre and Picasso Museum. 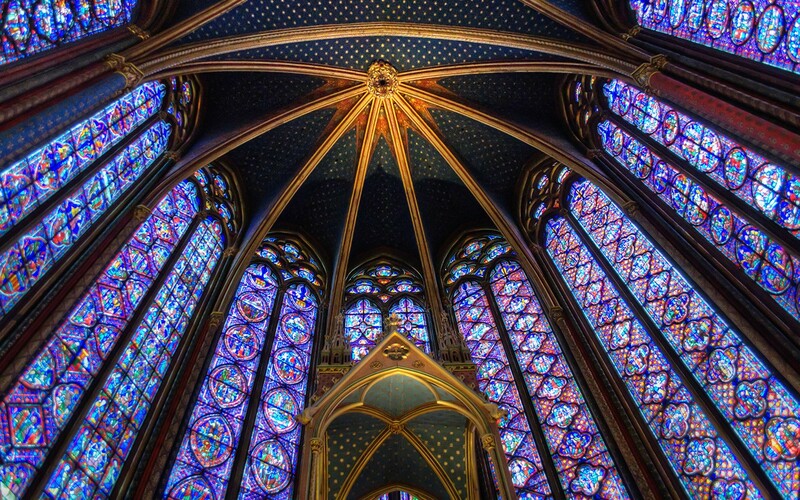 Others are only free off-season (which is generally from 1 October or 1 November until 31 March), like the Louvre, Arc de Triomphe and Sainte-Chapelle. You can find a full list here. They do get really busy though, so get in there early. It’s also worth checking the museums’ websites for details of other discounts. Many museums, including the Louvre, Musée du Quai Branly, Musée d’Orsay and Musée Rodin, offer free entry to under 18s and 18–25-year-olds who live in the EU. Admission to the Musée d’Orsay is also reduced from €14 to €11 after 6pm on Thursdays or after 4.30pm on other days. 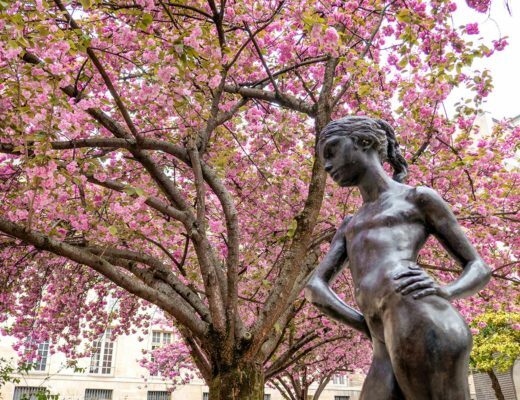 And you can get entry to the Rodin Museum’s sculpture garden for only €4 (€2 for under 26s). There are also plenty of lesser-known museums in the city that either have free permanent collections or are totally free all the time, like the Musée Cognacq Jay (18th-century art in a beautiful building in the Marais), the Musée d’Art Moderne (contemporary art), the Maison de Victor Hugo (the novelist’s former home) and the Musée Parfum (history of perfume-making). If you’re visiting lots of museums and attractions, it’s worth getting a city pass. There are a couple of different types. The Museum Pass gives free entry to 50 museums and monuments, including those listed above, and costs €48 for 2 days, €62 for 4 days or €74 for 6 days. Or there’s a the Paris Pass, which includes entry to the museums as well as lots of extras – fast-track entry at the Louvre, Musée d’Orsay and Pompidou Centre, a Seine cruise, hop-on hop-off bus tour, wine tasting and unlimited travel on the metro, RER and buses. Passes are available for 2, 3, 4 or 6 days and cost from €131–€244 (with discounts for children 4–11 and teens 12–17). There are plenty of Paris viewpoints where you can get a spectacular view across the city, but climbing to the top of the Eiffel Tower is high on the ‘must do’ list for many visitors. Tickets for the lifts to the top cost €25 (or €12.50 for aged 12–24s) – book in advance on their website to avoid the worst queues. But you can save money (and burn off a few pain au chocolats) by only paying €10/€5 to take the staircase up as far as the second floor. Some of my favourite free views across the city are the steps outside Sacre Cœur, the top of the Pompidou Centre, the rooftop café at the Galleries Lafayette department store, the roof garden of the Institut du Monde Arabe and the Parc de Belleville in the 20th arrondissement. 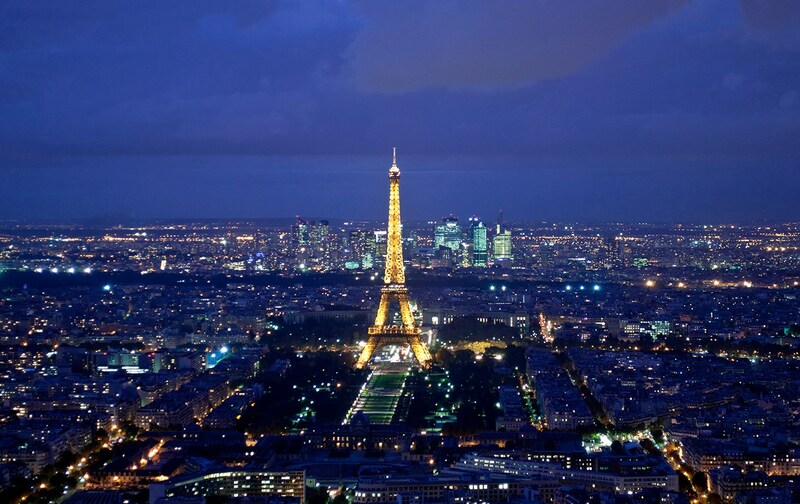 One of the best views of Paris when it gets dark is from the top of the Montparnasse Tower. It has a prime view of the Eiffel Tower when it’s lit up and sparkles on the hour. The lift up to the viewing platform on the rooftop costs €18 (€9.50 for children aged 4–11). But for the price of a drink, you can take a separate lift up to the 56th floor where you can watch the lights from the comfort of the bar which is attached to the Ceil de Paris restaurant. 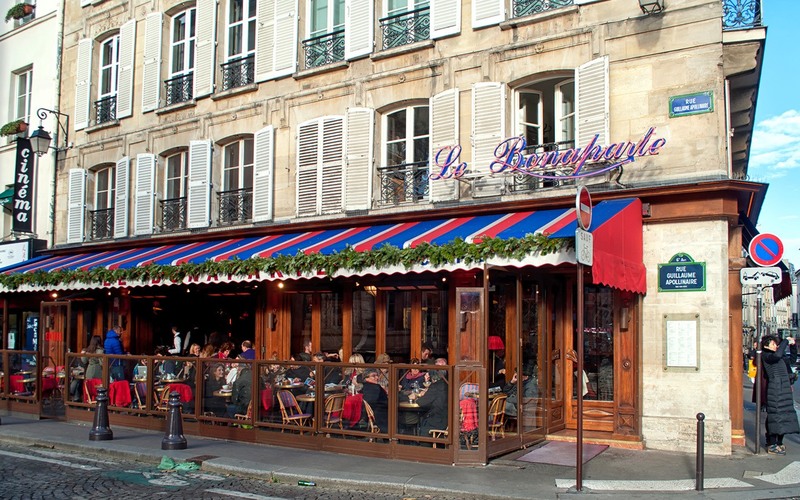 The French are passionate about food, but eating out in Paris can take a huge bite out of your budget, especially in touristy areas. But you don’t need to go far off the main streets to find a bargain. 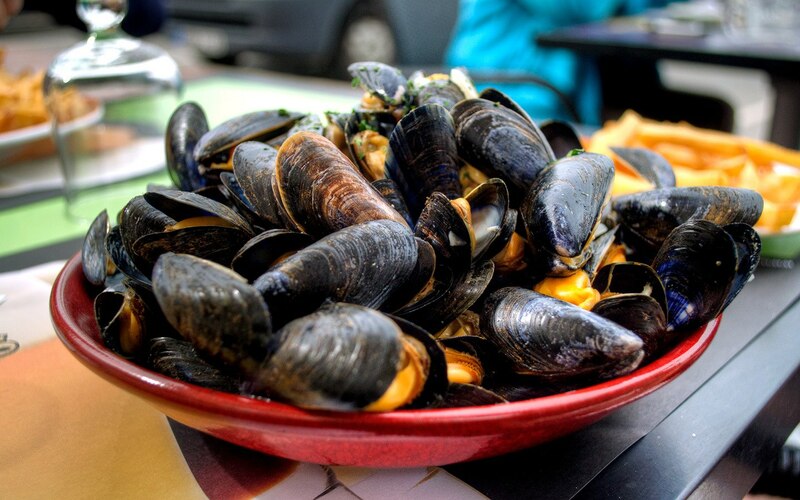 For good-value meals, look out for prix fixe or formule menus in restaurants. You’ll get two or three courses – from a fixed menu or with a couple of choices – for a set price. If you want to splash out on a meal in a nice restaurant, it’s a lot cheaper to eat out at lunchtime rather than in the evening. You can often get a similar meal for two-thirds of the price. You can also save on drinks by ordering a pichet (a quarter, half or full litre jug of house wine) and a carafe of tap water – mineral water and soft drinks can be more expensive than wine. If you’re staying in an apartment or hostel with cooking facilities, you can take full advantage of the great range of fresh produce in Parisian markets and supermarkets. There are streets markets like the Marché des Enfants Rouges in the Marais, the Marché Bastille, the cafés and stalls in Rue Montorgueil and the organic Marché Biologique des Batignolles. And supermarket chains to look out for include Monoprix, Franprix, Carrefour and Marché U. Even if you don’t have cooking facilities, you can always find cheap snacks and street food – like falafel in the Marais or crepes in the Latin Quarter – or pick up a picnic lunch of a baguette, cheese and wine to eat in a park or on the banks of the Seine. The river’s banks and bridges turn into an informal party spot on warm evenings, lined with people chatting over a bottle of wine. Paris has an easy-to-use Metro system, but it’s a really walkable city with a lot of the main sites located along the banks of the Seine. You can buy single tickets for €1.90 and day passes if you’re planning on using the Metro a lot – they cost €7.50 for central Paris. You can also buy a carnet of 10 tickets at a reduced price of €14.90 from station ticket machines. If you’re travelling to Paris by Eurostar, you can also buy them on board to avoid the big queues at the Gare du Nord. It’s worth making the Metro trip on Line 6 between Passy and Bir-Hakeim for amazing views of the Eiffel Tower as the Metro crosses the river on a viaduct. 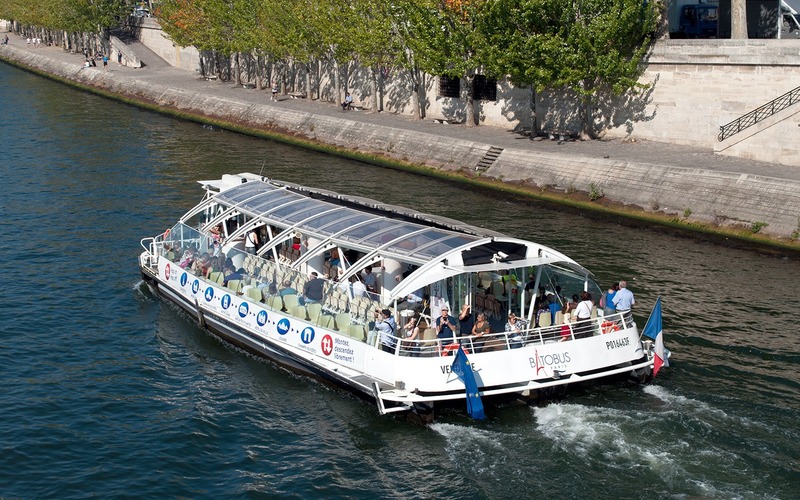 Boat trips on the Seine are really popular, with everything from five-course dinners to Champagne cruises available. But for a budget way to see the sights along the river, the Batobus does a hop-on-hop-off loop between the Jardin des Plantes and the Eiffel Tower. Tickets cost €17 for one day, but better value is the pass for two consecutive days for €19 per person. 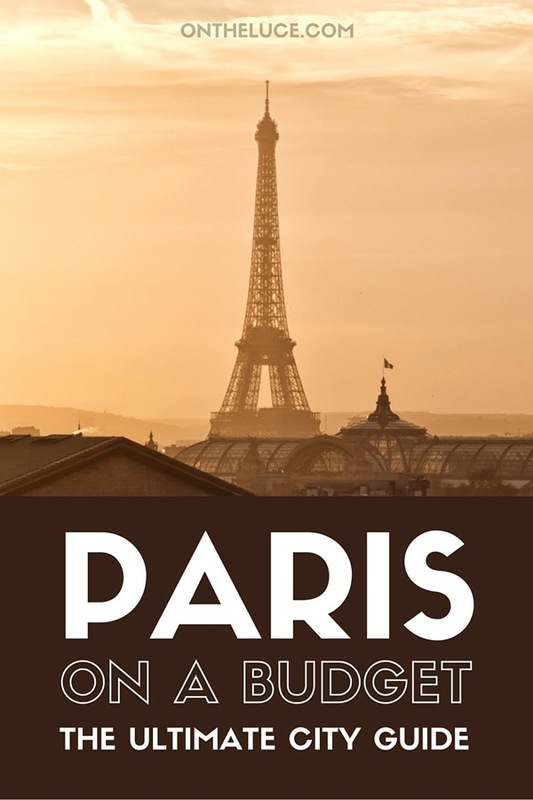 So those are my tips for seeing Paris on a budget – do you know of any more Paris bargains or have any money-saving tips? Such an awesome heads up on exploring paris! Now i just wish i could be there! Thanks, and hope you get to make a trip there soon! That’s good timing! Hope you have a fantastic trip. I’ve not had a bad house wine in Paris yet so it’s worth a try. LOVE, LOVE, LOVE Paris– and with these tips, maybe I can actually afford to visit again! Great post. Thanks, it’s one of my favourite cities too, I always find something new to see every time I visit. Brilliant tips Lucy! Thanks. 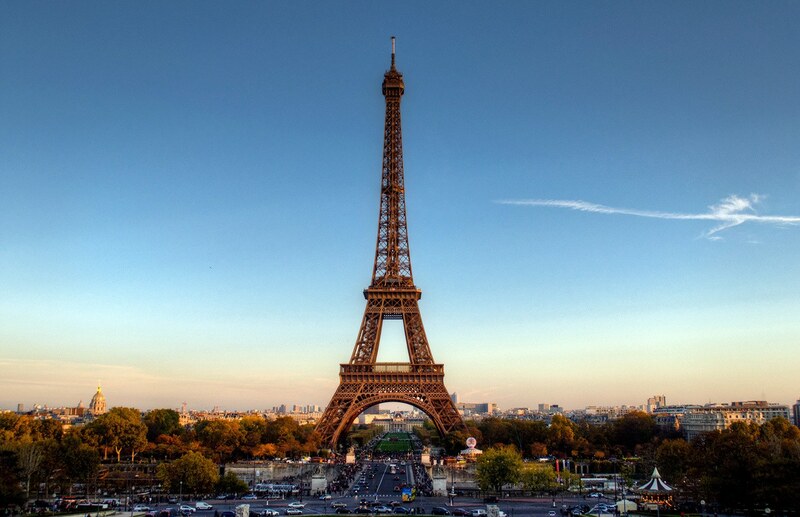 Heading to Paris for 36 hours next week – can hardly wait! Will put these tips to great use. Have a fantastic trip, look forward to hearing how you get on! Great tips! Good to know For the next trip there! Thanks! Thanks, hope you can use some of them on your next Paris trip! Such a useful post! The views from the Arc de Triomphe are pretty good and watching the traffic on the roundabout beneath is quite entertaining too… but I think it costs around 9 euros. The views from the Arc de Triomphe are great, especially watching the mad traffic below. I was in a car driving round it once and it was a scary experience! Le Deli-Cieux in the Printemps department store also has great views of Paris–toward the Eiffel Tower and toward Montmarte. As a bonus, the food’s pretty good and reasonably priced. Thanks for the tip, I’ve not tried that one so will have to give it a try on my next Paris trip. Housesitting in Paris?! 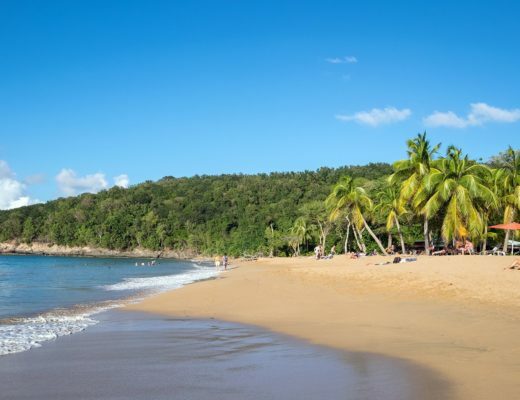 That’s one of my travel dreams! Was it through a friend or one of the top housesitting sites? I’ve been dreaming about going back there! My first time was not enough; I barely scratched the surface! It was through some family who had an apartment out there when the building was having some work done. So lucky I know! I’d really like to try housesitting through one of the sites sometime though, New York would be my dream housesitting gig! Thanks, you can never have too many trips to Paris! Hi Lucy, I didn’t know about the metro viaduct. Hope to go back again next Spring so will try and remember that tip for sure as well as taking my camera up to some of the roof tops you mention! I’ve developed a bit of an obsession with taking photos of Paris from up on high so am always on the lookout for the next viewpoint. The view from the Metro is great too, though you need to be ready with your camera as it goes past pretty quickly! I’d like to take a boat trip on the Seine the next time I’m in Paris and I appreciate the information about getting tickets. Thanks for the great tips! Thanks, I seem to end up taking the Batobus every time I’m in Paris – it’s a good way to get around if you’re travelling up to the Eiffel Tower, and to have a rest from the walking and let the views come to you instead! So helpful, but don’t forget us oldies can get discounts sometimes, as well as students. it is always worth asking. There are a lot more discounts listed for students in Paris but I did find a couple for seniors – like €6 entry to the Arc de Triomphe instead of €9,50 – and it’s definitely a good idea to ask just in case, especially for EU residents. Thanks Jo, it’s good to show that even notoriously expensive cities can be do-able on a budget. Free walking tours are a great idea, there were loads of them in lots of different languages when I was in Prague recently too. Thanks for the awesome tips! I particularly appreciate the alternate suggestion for free walking tours. We took the Sandeman’s tour there last time, and while it as informative, we have taken their tours in a number of different European cities and we would like a change of pace next time! The tours are definitely worth a try – the guy who led ours was an actor and had loads of great stories about the Marais and the people who lived there, plus we came away with a big list of bars and restaurants to go back to! My favourite city too Lucy! And very valid advice. It’s one of my favourite cities too, every time I go I find something else interesting to see. Hope you manage to make your trip out there next year! How fantastic to be living in Paris! I spent a few months there last year so have a lot of posts about things to see and do, and it’s great to have the time to really explore the city. Thanks for sharing this. It brought back wonderful memories from my last trip there. Thanks, it’s been great to relive some of my memories of Paris too! 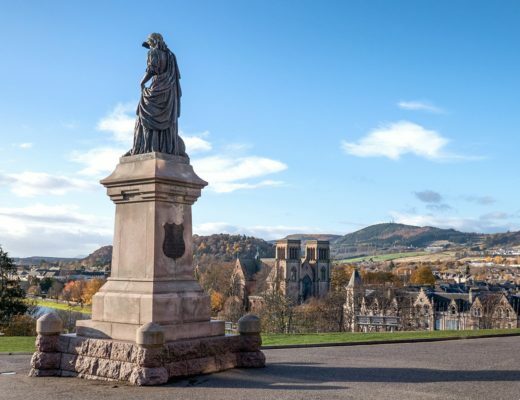 Thanks – it’s such a fantastic city but you can really burn through the cash out there! Thanks Agness,it is a pricey city (it took me about ten trips to get around to actually going up the Eiffel Tower!) but you’re right that there’s lots of things to do for free – I could spend days sitting along the Seine soaking up the atmosphere with some cheese and wine from the supermarket! Thanks, hope some of the tips will be useful for you! Certainly can’t – though bad time for me to look at that picture again just before lunch with an empty fridge! Hope some of the tips will come in useful – I did a school trip to Paris when I was about 13 and I think that’s what started off my love of the city, so hope it inspired your pupils too! I am sure they will! It’s funny that it was your school trip started off your love of Paris. I think the pupils were inspired as they were talking about it for months afterwards! It was such a lovely time to visit at Christmas too and see all the lights. Lucy: I have visited Paris twice but the way you meticulously covered things is really wonderful. I have also covered my trip in few words however your budget tips would definitely help me in my next rip. Thanks, hope you can use some of the tips next time you’re in Paris, and I’ll check out some of your posts about Paris too. Some great tips in here! Thanks! Thanks – hope they come in useful! I love Paris and reading this brought back some fabulous memories, cannot wait to return and put some of your tips into practice. Hope they come in useful and you get back there soon – I haven’t had a Paris trip this year and am already getting withdrawal symptoms! Such a great idea for a blog post! Taking different budgets into consideration when writing a travel blog is a really great way to connect with the audience on a deeper level. I just started writing a travel blog that connects famous literary destinations to actual places around the world (http://travelingbeyondthebookshelf.wordpress.com/). 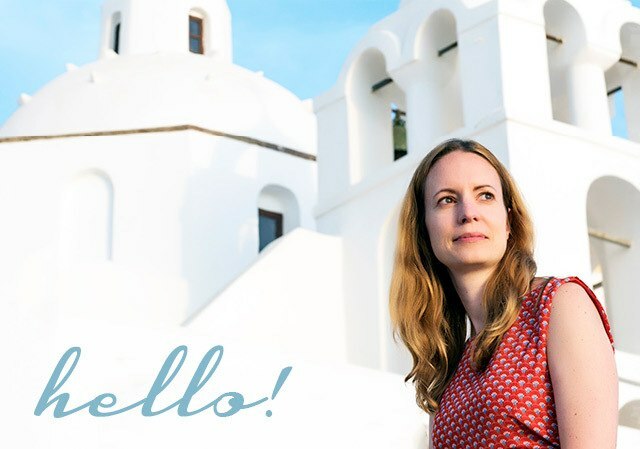 I am really glad to see a new perspective on travel blogging as my own blog begins to develop. Keep up the good work! Thanks, I love the idea of your site, I’m a huge reader and there’s a few places that I’ve been to after reading about them first, it’s always so interesting to compare the literary versions and the real place. Thanks, I just love Paris and it’s such a shame that some people get put off visiting by the cost as it so can be done on a budget. Must’ve been a great place to live. I’m planning a Christmas trip out there this year and can’t wait! Great tips Lucy – thank you very much. Great post Lucy, thanks so much. I will be returning to Paris in May next year and this post is going to be very useful. I just discovered your blog via a WordPress recommendation – it is excellent and I will be following from now on. Family of 4 making our 1st trip to Paris but it will be December, any winter tips? We are staying in the Rue Saint-Honore area. Paris is one of my favourite European cities as well. I was fortunate to spend a lot of time there in the late 80’s when I was a tour guide. I have great memories. Unfortunately I have only been back once since then. Thanks for putting it back on the agenda. Sounds like you are definitely due a return visit then! 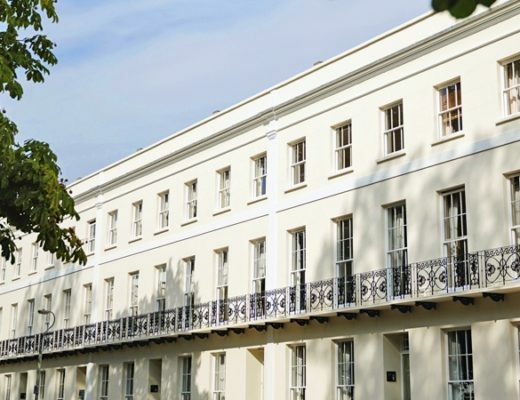 I love it there – however many times I visit I can always find something new to see and enjoy just wandering around the different neighbourhoods, soaking up the atmosphere. Soooooo wonderful tips i’ve ever read…Thanks a ton!! Thanks so much, hope you can put them to use on a trip to Paris sometime! These tips are wonderful I have screen shot them lol this will be my first trip I hope a week is enough time. One thing I haven’t seen is about there nightlife. Do u recommend anything? How lovely, Paris is a great place for an anniversary trip. Montparnasse is not a bad place to be based at all, I usually stay just down the road from there in St Sulpice. I also like Montmartre as there is always a lot going on there. I’ve managed to miss Versailles so far despite lots of trips to Paris so look forward to seeing how you get on – I will make it there one day! I’ve been up to the Montparnasse Tower viewing platform but not tried the restaurant out yet (or the cocktail bar!) – may have to try that out on my next trip. The view of the twinkling Effiel tower is great be sure to ask for a window seat. Thanks Patricia, hope you have a fantastic time in Paris! Wow, fantastic write-up and timely advice as we are scheduled to go there this May. I am typically opposed to the “City Card” type setups in most cities, but in Paris it is without a doubt a time and money saver as there are probably more things to see here than almost anywhere. Great pictures also, I don’t think I’ve ever seen the grass in front of Sacre Couer that desolate, lol. Haha, I think that picture was taken in August too so don’t know why it was so quiet! Hope the guide comes in useful and you have a great trip in May. Yes the compact size of Europe is definitely a plus! A month in Paris sounds fabulous, I did a housesit there a few years back and it was so nice to be able to work my way around the sights slowly and juts soak up the atmisphere. great information! I am planning a trip for september and doing my research as we speak/text/email/share…you get the picture! Hope it comes in useful – have a great trip! This article really helped me during my trip. We bought the Paris Museum Pass, bought 10 Metro tickets, went to the Monoprix, and bought tickets for the Batobus. That’s so great! Really glad to hear it helped you and hope you had a fantastic trip. I am glad I came across your post since I am heading to Paris in 5 days. I love the tidbit on Discover Walks but I was wondering if you could tell me the amount of tip that should be given? I think we tipped around €10 for our walking tour which seemed about average. Hope you have a fantastic trip! Nice post thanks for sharing !! Hope it comes in useful and have a fantastic time! I love your article, I find it is really informative. I have to go to Paris next month and your article will help me a lot. My father told me to sleep near to “Le Marais” because people are friendly and there are a lot of touristic sites… See you! Thanks so much – the Marais is a lovely area, hope you have a great time there! So much to see in Paris! Have a great trip. You’re very welcome, hope you have a fabulous trip! Great tips and some stunning photos. My best friend and I are planning a girls long weekend in Paris this year in Spring or Autumn. I’ve been before but there are so many things I haven’t seen yet and she’s never been. There’s so much to see in Paris it’d take a long time to run out! I’ve not been back for a few years now so am definitely due a return trip sometime soon. Hey, do you know any cheap hotels under 80 euro in downtown paris that you would recommend ? Hi there, advice for the tips varies but I would generally tip €5-€10 per person (depending a bit on the size of the group, last time we ended up with a private tour for just three of us as it was the end of the season so we gave €10 but for a bigger group I’d say €5-€7). Nice piece of information lucy, Paris is a really fascinating place to visit. Some of its places like Le Ballon de Paris, Le Carreau du Temple, Palais de Tokyo, and Foundation Le Corbusier are relatively less known but are worth visiting. Thanks – a few I’ve not tried out there too to add to the list! 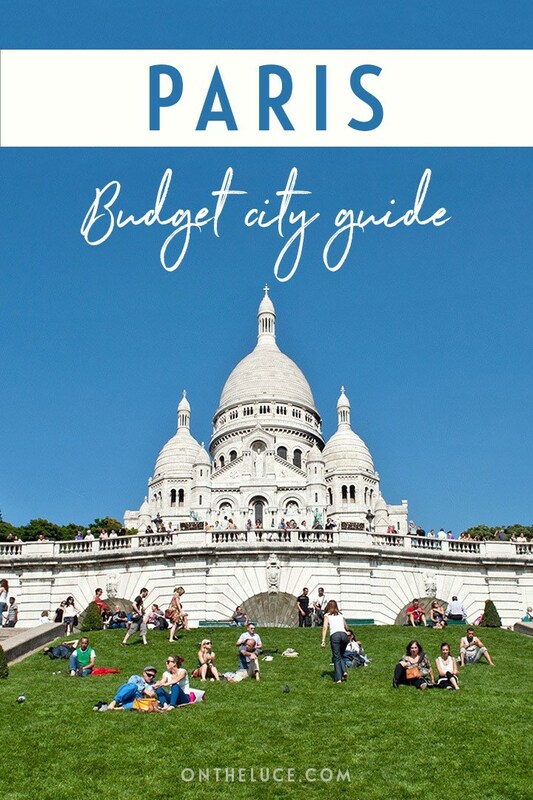 Some great tips for visiting Paris on a budget, Lucy. 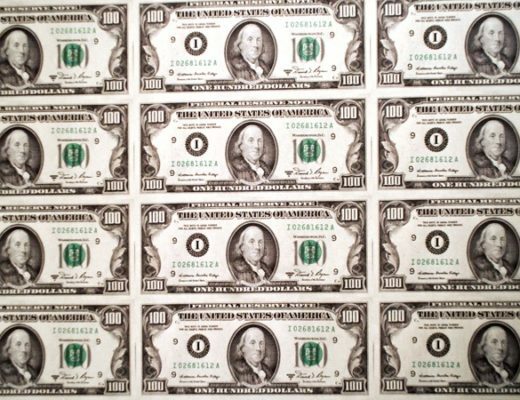 Free admission to museums on the first Sunday of the month is a useful tip as entry to some can be quite expensive. I recommend using the Velib bike-sharing scheme for transport. The metro is brilliant but I get to see Paris overground when cycling on a velib. For an initial sign-up fee rides are free for the first 30 minutes. Thanks – I’ve not actually tried the Velib bikes out yet but I must give them a go on my next trip!